Quark (or qvark) is a fresh cheese of East European origin. Dictionaries usually translate it as curd cheese. It is soft, white and un-aged, similar to (but not the same as) fromage frais. It is not the same thing as cream cheese or cottage cheese. It is distinct from ricotta because ricotta (Italian: recooked) is made from scalded whey. 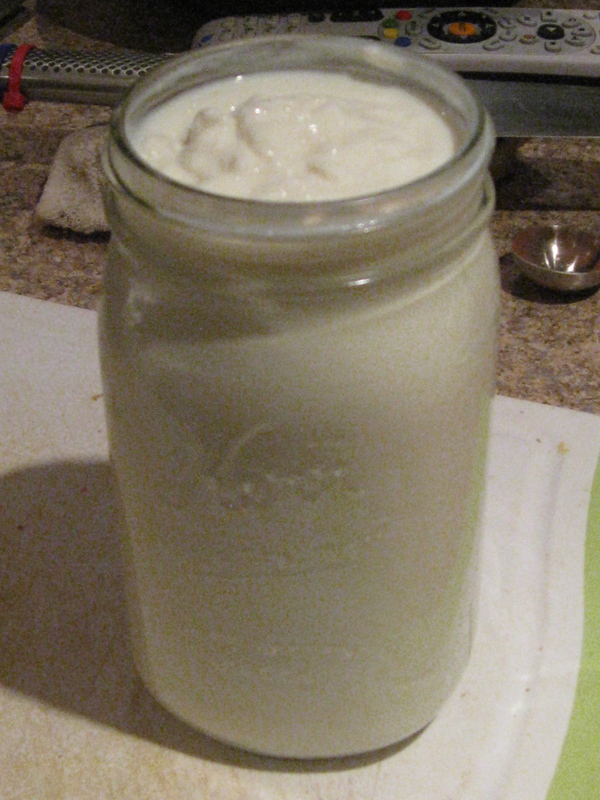 It usually has much lower fat content (about the same as yoghurt) than cream cheeses and has no salt added. In Germany, quark is widely sold as a creamy, sweet desert or treat in a small plastic tub with a fruit flavouring – indeed, much like yoghourt tubs sold in most parts of the world. (The yoghourt tub product is also seen widely in Germany, just as in other countries.) However, this particular variety of quark seems to be unique mainly to Germany. Thus a French person talking about quark probably means the soft white cheese (per se), whereas a German might mean the “tub treat” variety. This leads to confusion: for instance a USA visitor to Germany might well tend to think of quark as the “fruity youghourt-like treat in a tub that you see in supermarket shelves in Germany” product and have no idea about the white cheese “per se” sense of quark.